SILVER LINING Storage Solutions is part of the USD 1 Bn Amara Raja Group, and specializes in offering high quality, value-driven and tailored warehouse storage racks for various industry verticals. SILVER LINING range is developed from the ground up and betters all storage racks manufacturers in terms of load performance, durability and technology. One of the first Indian companies to comply with the latest Euro code EN 15512. (steel static storage rack system: adjustable pallet racking systems principles for structural design). Our fully-equipped plant has the most modern, custom built imported roll forming machinery and powder coating lines. All storage racks are manufactured in high strength steel with minimum yield strength of 350 MPa. Direct sales team and project associates at SILVER LINING guide customers through the consultative sales process to arrive at the best storage solution for their operational need and budget, thereby creating substantial value to the endeavor. 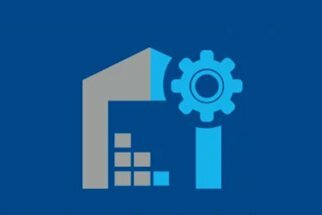 Engineering specialists at SILVER LINING, factor-in materials, warehouse storage racks capacity, material handling, and operational demands with appropriate utilization of height, scalability and adaptability into the warehouse racking layout design. Our optimized storage layout and intelligent racking solution enables a seamless flow of warehousing operations, culminating into savings on project costs and resources for customers. Our storage racks installation and project management team is highly experienced in delivering projects successfully in multiple industrial sectors, both large and small. Our unique, customized approach and expertise in project management ensures that projects are delivered on time within cost, every time. Selective Pallet Racking is the ideal racking solution for warehouses that host a wide range of fast-moving SKUs. This racking system assures direct. The heavy duty shelving system is designed for smart storage of medium to heavy load goods. It is a safe and adaptable storage system which is easy to adjust as per as the changing business requirements. Double deep pallet racking is ideal for high storage density requirements. The system uses two bays of racks that can be accessed by double reach trucks or other such modified equipment. 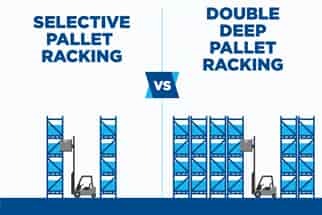 Drive-in Pallet Racking, based on the storage by accumulation principle, maximizes utilization of both space and height by stacking large volumes of a single SKU together. In Shuttle racking system, a battery powered, radio controlled shuttle is used to deposit and retrieve pallets. Mezzanine Floor System is a quick-to-install modular interlocking system aimed at achieving additional space for storage or office in a cost-effective way. The cantilever racking is a must have system in your warehouse/manufacturing facility, if you have irregularly shaped and/or varying length products that need organized storage with safe and secure retrieval. Carton or Bin Flow Racking is a highly efficient system that utilizes gravity to roll out products at an adjustable speed. 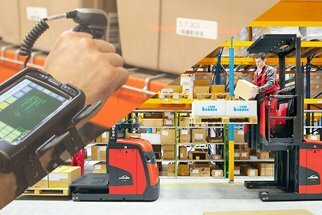 The shuttle system is an automated solution for storage and retrieval of SKUs, particularly in deep lane and compact storage situations. 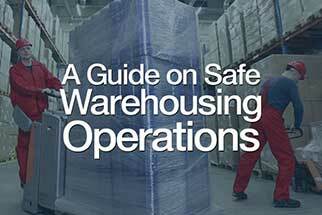 Pallets are a fundamental part of any warehouse or distribution center. Precision-engineered metal pallets are one of our most sought-after products. > Systematic storage > Stock visibility > Efficient retrieval. SILVER LINING Storage Solutions © 2018.